3. URL of spoof website choosen to look real at a glance, but is actually spelt slightly differently, with an 'i' missing from security. Do not be fooled!
" 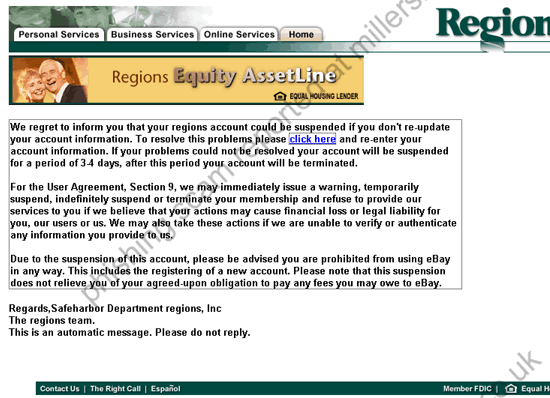 We regret to inform you that your regions account could be suspended if you don't re-update..."